Although the official end of summer isn’t until September 22, the moment school starts back up the summer is pretty much done. Hopefully, you were able to squeeze in a lot of fun. Whether you hit the road or enjoyed a staycation no doubt you created a lot of terrific memories that made their way onto your Facebook timeline. Once all the excitement of back to school settles down you’ll be able to focus your energies on getting the house in order. Like it or not the holidays are right around the corner. Why not get a jump on the change of seasons with a junk removal session from Junk King Denver? Getting rid of your junk with the help of Junk King Denver isn’t just about freeing up storage space. It’s also about helping you get organized around the house. Think about your morning routine searching through your closet for something to wear. Does this become a struggle because of all the things you have crammed in there? It might be that pulling down a pair of shoes creates an avalanche of clutter. That slows everything down. Now imagine if half of what you have in your closet could be taken away. That is going to make a huge difference in your morning! The motivation to sort through your closet could be as simple as scheduling your Junk King Denver appointment. Junk King Denver is going to provide a two-man moving crew and a huge truck. Those are all the necessary “tools” that you need to get rid of all that unwanted stuff. With all that closet clutter, you can leave everything right on a pile by the closet door. The Junk King crew will pick it up right from the spot. It doesn’t have to be boxed up or even bagged. That same approach to decluttering can apply to your garage and basement. Here is where you’re probably storing a lot of things you could get rid of. All you have to do is decide you want it gone and tell the crew from Junk King Denver. They’ll happily climb up and down those basement stairs as many times as it takes to clear out all your unwanted junk. Bring your summer to a close with a thorough decluttering and junk removal session from Junk King Denver. 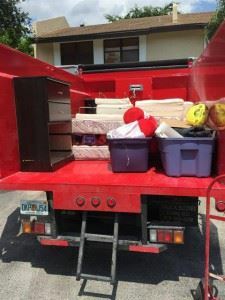 This entry was posted in junk removal and tagged Junk King, junk removal, summer, trash on August 26, 2016 by Paul Durant. Last updated August 15, 2017 . 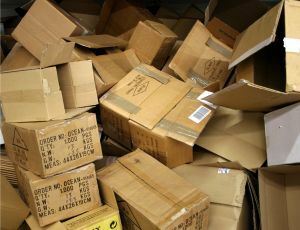 There is a saying that goes, “one man’s trash is another man’s treasure.” This usually applies to collectors who amass large amounts of objects that someone might consider rubbish. There was a time when stuffed toys like beanie babies and Cabbage Patch dolls would fetch a fortune. Of course, they only have value to other collectors. The same can be said for junk items. You may want to get rid of an old stove that is an eyesore on your back porch but someone else may look at that and think it’s a kitschy vintage appliance. Just because someone sees value in your junk doesn’t mean you have to hold onto it. When you’re ready to let go of your trash and your junk the only call to make should be to Junk King Denver. Junk King Denver is part of a national chain of professional junk movers who been in this line of work for over 10 years. In that time they’ve help thousands of homeowners and businesses removed tons of junk from their property. The two-man Junk King crew assigned to your task won’t care how heavy something is. All they care about is how quickly they can get it out of your house. The best approach to working with Junk King Denver is to sort through all your storage areas. Don’t worry about asking the crew to climb up in the attic or go down into the basement to remove something. Climbing stairs is part of the job. You also don’t have to feel embarrassed at the amount of junk you want to get rid of. These are crews who have dealt with their fair share of hoarder cleanups. Nothing you want to get rid of will surprise them! One of the best features about working with Junk King Denver is how they handle the stuff once it’s loaded onto their truck. They are dedicated to keeping as much of what they collect out of landfills as possible. Often that means driving out of their way to drop things off to a charity or recycling center. But that is just how they handle things. Dependable trash and junk removal starts and ends with Junk King Denver. This entry was posted in junk removal and tagged junk, Junk King, junk removal on August 17, 2016 by Paul Durant. Last updated August 15, 2017 .